Have you been looking for a monthly class where you can socialize, work on your own special hand applique project, and get advice and assistance? This is the class for you. 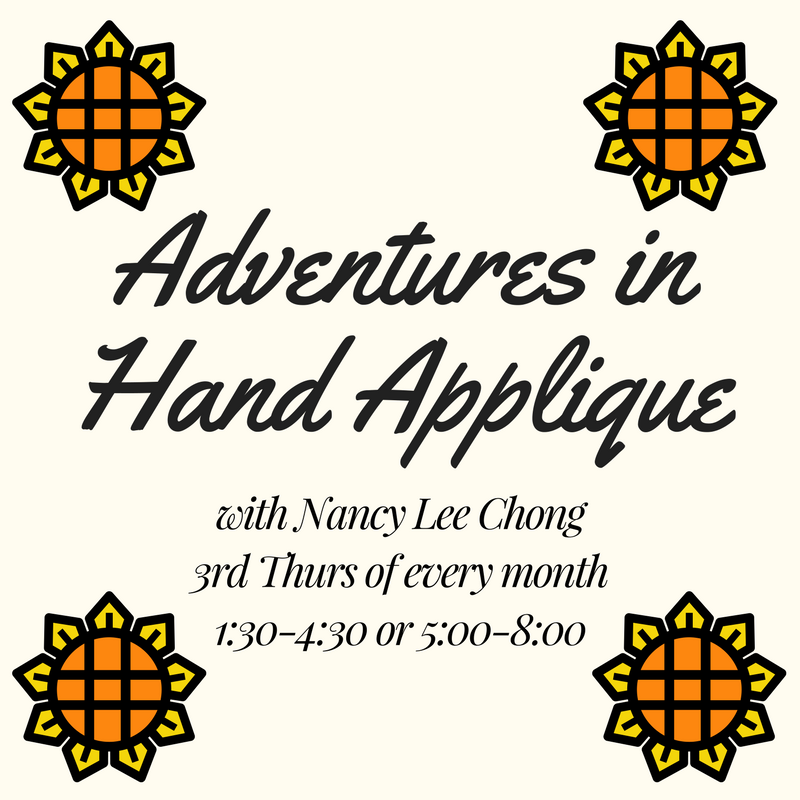 Nancy can get you started, keep you going, and answer all of your questions concerning hand applique and more. In addition to needleturn techniques, we will discuss such topics as 3-D applique, embroidery embellishments, different decision-making approaches, and much more. 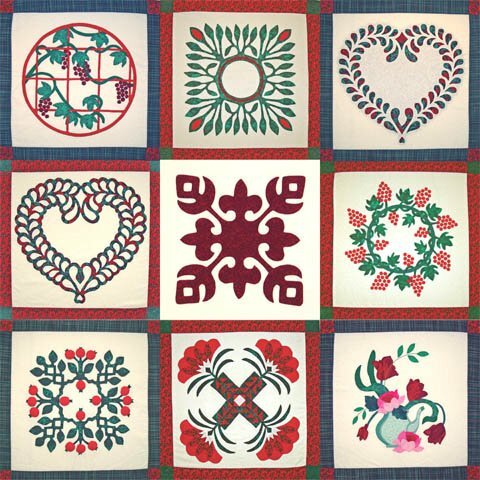 Prerequisite: an applique class from Nancy or experience with needleturn hand applique.